Macy's shoppers, don't leave home without this coupon. Today and tomorrow there's a NEW coupon that you can use to SAVE BIG. Please note that this coupon is valid all day today and until 1pm on Saturday July 12th. 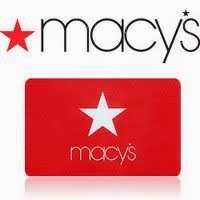 Grab your $10 off any $25 Macy's Purchase Coupon. Did you know that you don't actually have to print these coupons? Macy's will allow you to show and scan your phone to receive the discount!